As Judwaa 2 inches towards release date, the lead actors have intensified the promotional activities. Varun Dhawan, Jacqueline Fernandez and Taapsee Pannu were snapped in Delhi as they promoted the upcoming film on September 25, 2017. The young stars looked great together as they were snapped in a playful mood. Varun, Jacqueline and Taapsee gave some candid poses as they were clicked by the cameras. Taapsee looked pretty in a blue playsuit while Jacqueline Fernandez was seen in a pink suit with a white t-shirt. 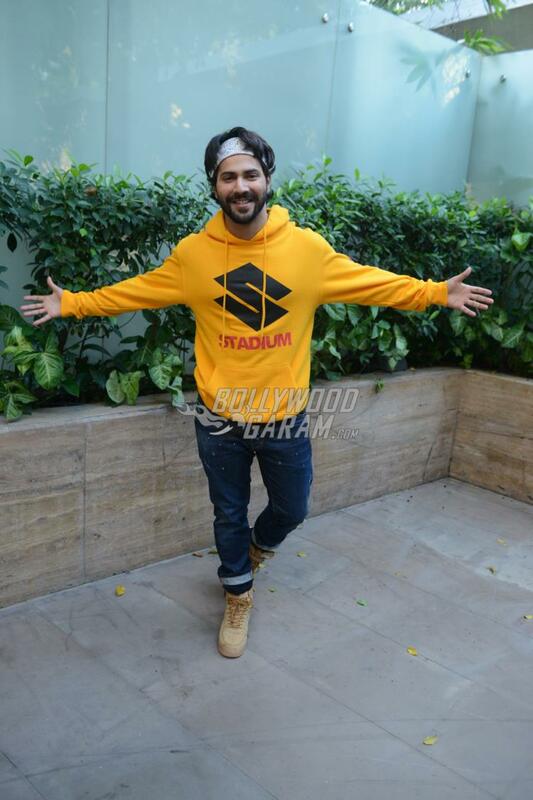 The Badrinath Ki Dulhania actor looked cool in a yellow hooded pullover and a pair of denims with a head band. The trailer of Judwaa 2 has already created a stir among the audience. The film is the remake of the Salman Khan starrer flick Judwaa which was a blockbuster success. Filmmaker David Dhawan has once again donned the hat of the director. Judwaa 2 is ready to be released in theatres on September 29, 2017. 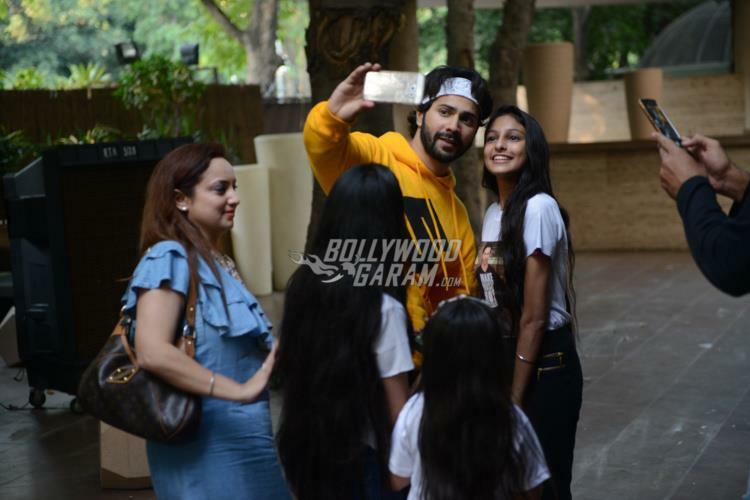 Exclusive photos of Judwaa 2 lead actors during Delhi promotions!